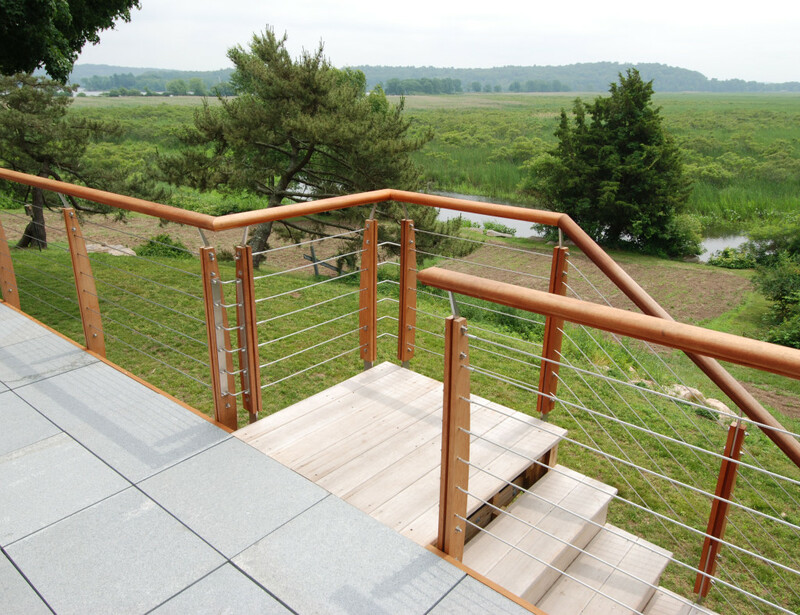 The cable motif was uses order boating catalogue parts, making for complete visibility of the marsh and river beyond. The handrail and vertical supports and fabricated from swamp cedar. Care was taken to express the fastenings as they are the decorative motif here. 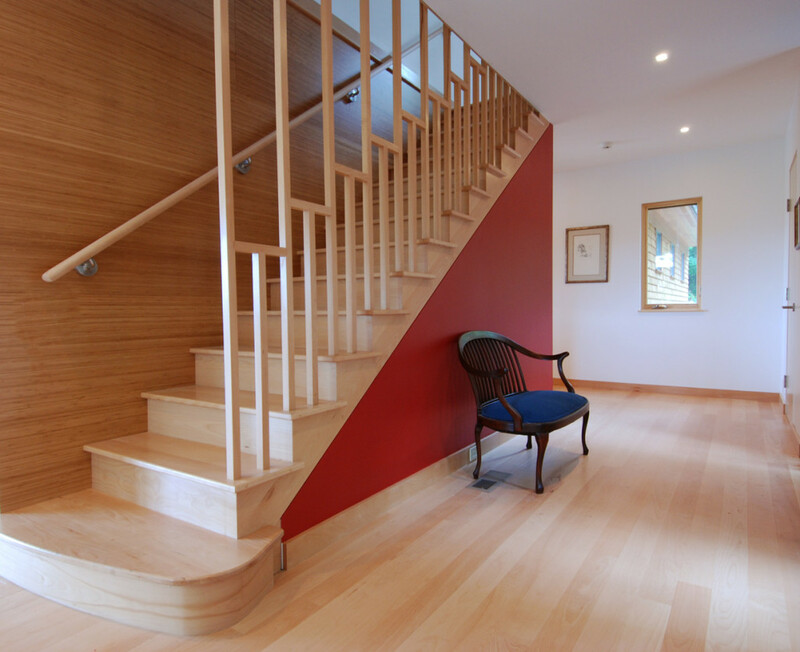 The interior stair is fabricated from steamed beech is inspired by arts and crafts detailing.